I must admit, this question had really never entered my head – I assumed they don’t! If, like me, you also assumed chickens don’t swim, you’re not alone. It appears most people think chicken can’t swim either. In the normal course of the day you can watch your chicken drink water, perhaps paddle her feet if she’s hot, but swim? Surely not! Well, as it happens they can swim, but mostly they choose not to, for reasons that we will explore shortly. 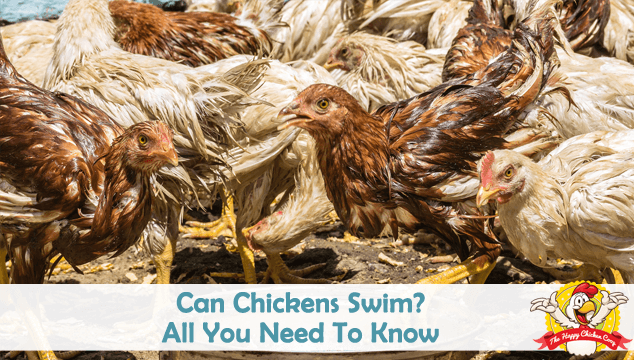 Keep reading to learn how chickens swim and importantly, if you should let your chickens swim and the health implications. Are Chickens Built For Swimming? To understand if chickens can swim I thought it was best to compare them to a similar sized bird that loves to swim: a duck. These attributes make ducks such fine swimmers and paddlers. They are built to be graceful on water – not so much on land! Ducks also secrete oil from special glands which they coat their feathers with, this makes their feathers ‘waterproof’. Just because chickens aren’t built to swim doesn’t mean they can’t try! Chickens can paddle quite well without webbed feet, but obviously the strokes are not as powerful as a ducks, so forward momentum is slower. So it appears that chickens do have an innate ability to swim. It seems that it is built into their survival system from long ago; it is not a skill they frequently use. Their feathers are not waterproof, they do not secrete the oil that ducks do – once they get sodden wet the chicken will sink like a stone. They should never be left alone near water that is deep enough for them to drown in. If your chicken should accidentally fall into the pool and manage to get out, she will need to be dried off quickly especially if the air is cool. They can easily get hypothermia and die. Something that will affect how well the chicken will swim (or not) is the panic factor. While many birds will stay calm, some will panic and can easily drown. Indeed, it has been recorded that chickens have drowned in a bucket of water (it wasn’t recorded how they got there). Chickens that are of a calm disposition are likely to do better at swimming that those who are high strung. Like people, no two chickens are alike and what one may take in their stride another will have a meltdown over. Should Chickens Go in Pools? Whilst researching this article, I saw lots of videos of chickens in swimming pools. There are several videos on social media showing hens floating and swimming in family pools – the birds seem content to just sit and float! 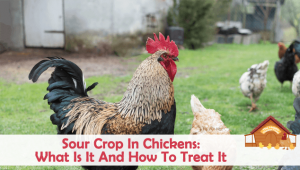 It is questionable whether or not we should be exposing our chickens to pool chemicals. In order to keep pools clean and sanitary, barrages of chemicals are added to the water: sanitizers, oxidizers, algaecides, clarifiers and enzymes. How these chemicals might affect a chicken floating around in it we don’t know. I do know it will kill frogs…. If you must let your chickens float or swim, I would suggest a small child’s pool with natural water and some sort of stepping out area just in case the hen needs to exit quickly. Many folk who keep both ducks and chickens together, keep a small kids paddling pool ready for the ducks. As a precaution against a chicken falling in the water they place bricks or concrete blocks around the bottom of the pool so the hen can have something to step on and exit the pool easily. Another idea is a ramp up to and down into the water – again the idea is to provide an exit for any bird or animal in the water. It should go without saying, if you put a chicken in the pool with you, don’t leave it unsupervised – treat it like a small child and monitor its swimming. If the bird appears to be getting distressed, take it out and dry it off, remember, chickens can catch a chill and die from being soaked. Now that we have determined that chickens possess the ability to swim – either for pleasure or to escape (more likely), we need to remember to watch over them when they do venture near water. While it may be fun for us to have cute videos of the chicken swimming with the kids, we should remember that water is not a natural environment for this bird. If the hen doesn’t want to swim, don’t make it – be kind. Chickens are made to rule the barnyard, not the waves! You are correct. I had one of my chickens fall into the swimming pool , she floundered about, until I scooped her out, then she fell on her side , and i quess when their feathers are wet they cant even stand and walk. after she dryed in the sun for about an hour she started to stand and then went back to the pen. Learn something new every day. and by the way you have a terrific program!!! Very interesting blog. My chickens show no interest in swimming because we don’t have a pool. But they don’t ever seem to mind having their bottom halves dunked in water if their vents are sore or messy, and when the weather is hot. If fact they seem to appreciate a bit of watery fuss if the occasion for a dip arises. Same if their feet get very muddy. Has anyone ever tried reflexology on hens? Excellent reading as always Claire. I always learn something here. I was sure my girls were ‘waterproof’. Must get them an umbrella!! Thanks again for all your work Claire. Years ago we had a Muscovy duck hatch some fertilized chicken eggs for us and we were neglectful in not removing the chicks soon enough. She led all the chicks to the pond and they all drowned. A lesson learned for sure. 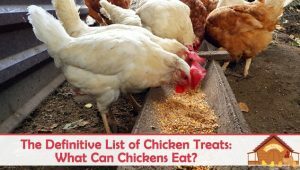 During a heat wave I dipped some of my chickens in a bucket of tepid water to lower their body temperature as they were panting. Most of them didn’t like it at all except for one little overheated silkie, who just gave a huge sigh of relief and floated quite happily! Always enjoy reading your articles! 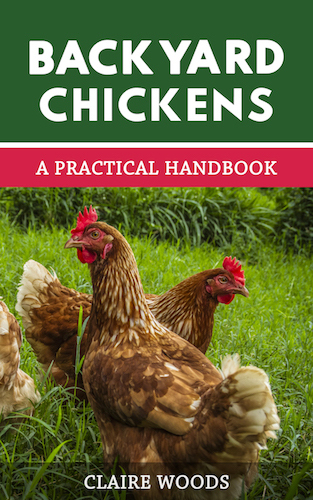 Have raised chickens for 30plus years but never too old to learn something new? Heat has been 105+ here the past week, so we’ve had to constantly be on guard with our girls. I put my silkie and serama in a shallow pool filled partway with water – the chickens could all stand in it, so I wasn’t worried about drowning. They both loved it. Absolutely loved it. They stayed standing in the water (and getting a couple drinks in as well) for about 5 minutes before moving on. I have a miracle chicken! I have 4 silkie chickens that free range in my back yard during the day. They go into their coop like clockwork every evening and then we close and lock the door for the night. We have a pool but they have never, ever gone around it at all before. We were up late so I was late going out to close the coop door. It was around 11pm and they usually go in around 7 pm. On my way to the coop, I noticed one sitting by the edge of the pool and I wondered why she didn’t go back in the coop with the others. I called my husband to come out and see because it was so odd that she was still out. We looked around the pool and saw something and both said “What is that?” It was one of the other chickens treading water. My poor baby must have been in there for hours! We took her out and dried her off and she seems to be doing ok so far. It’s just amazing that she was in for so long and able to tread water like that! And more amazing that her sister stayed out with her. So thankful she is ok.